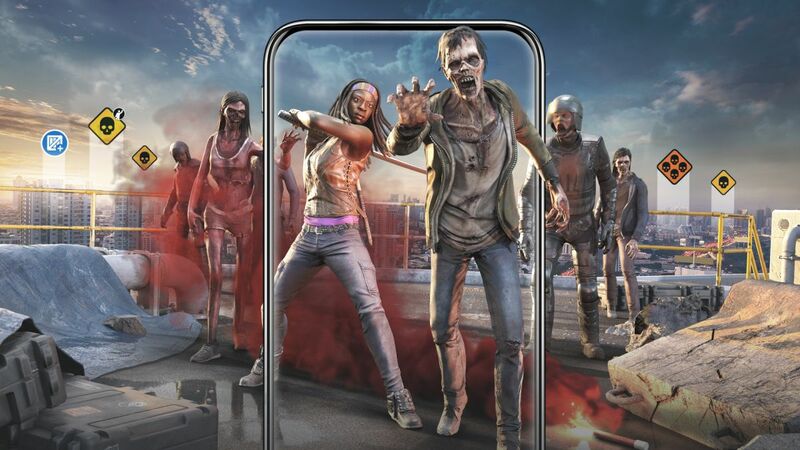 Finnish game developer Next Games and AMC have released a gruesome new mobile game that uses augmented reality (AR) to spread zombie hordes through the real world. The Walking Dead: Our World, first announced in August 2017, is available to download free for iOS and Android, and invites you to fend off walkers solo, or in weekly team missions with friends. The Walking Dead: Our World is powered by Google Maps, with a game map that landmarks like the Statue of Liberty, the Burj Khalifa and the London Eye. Think Pokémon Go, but with gruesome, bloodthirsty walkers to battle instead of bouncy little critters. If you’re not brave enough to head outdoors during an infection (or it’s raining), The Walking Dead: Our World also offers a Couch Mode, which lets you slaughter the undead wandering the streets while lounging on your sofa. “I’m proud of team Next Games for creating this incredibly ambitious game that offers players an immersive and deeply personal experience with AMC’s The Walking Dead universe,” says Teemu Huuhtanen, CEO of Next Games. In June 2017, Skybound Entertainment, the company helmed by The Walking Dead creator Robert Kirkman, announced a partnership deal with Skydance Interactive to create a series of original VR games set in the TV show’s gruesome universe. There’s been no news on the virtual reality games since then, but this new AR experience should help tide over anyone who’s been looking forward to a more immersive zombie-slaying experience.